According to a survey by The American Lawyer, 90% of law firms expect growths in profit per partner in 2015. Additionally, the Bureau of Labor Statistics expects most legal jobs to grow between 10% and 17%, until 2022. There is job growth in the industry, and there are more law school graduates than ever, which means there is a fairly sizable talent pool. However, there are not many experienced and skilled professionals. What does this mean? It means we don’t have an overall talent shortage; we have an experience and skills gap. It also means that law firms and in-house legal departments are choosing experience and skills over inexperience; they’re more likely to target passive candidates (employed talent that is not actively seeking a new job) and wait longer to hire them than they are to hire inexperienced, less skilled candidates. As a result, candidates need to hone their skills, and employers need to promote skill development. 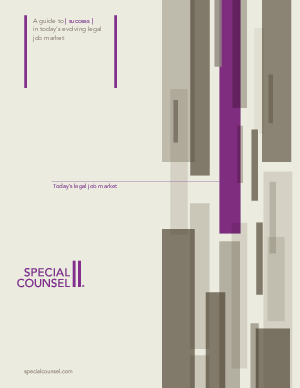 Read our latest white paper—“A Guide to Success in Today’s Evolving Legal Job Market”— for all the details.